Content marketing strategy is one of those terms that has become increasingly popular in the online business world in recent months. Marketers, bloggers, and forum posters are giving the topic an increasing number of virtual column inches. Following the most recent Google updates, anything that is concerned with web content has gained greater prominence and importance to visitors. Developing a content strategy means developing ways in which you can connect your target audience to the content relating to your brand. It means finding the places that your targets will read the content and then delivering it in a desirable and appealing way. Content strategizing is less about SEO and more about user experience. While you can use certain forms of website content to attract new visitors, and off-page content to develop links, you should view them first and foremost as benefiting your website visitors. Set your strategy requirements and goals early. 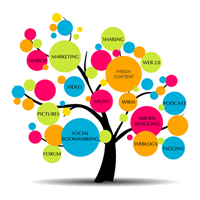 There are many reasons that you might be developing new content. It can drive new targets and develop new markets. It can increase conversions, improve customer retention rates, and it can effectively optimise the user experience so that they spend longer on the pages of your website. A good content strategy will involve many channels from Twitter and social networks to your own blog, forum, and web pages. Typically, different people will be given different roles. As well as internal requirements also consider any external help that might be needed. Using external sources to help you create content means that you are basically buying content. Your content should be treated as an asset and the cost of purchasing or creating that content should be considered highly important. Determine an ROI for your content and remember that while some content may not directly drive sales it may provide support to increase sale values, prevent customer loss, and other non-tangible benefits. Website content can include everything from the images and web video on the pages to your Tweets, Facebook updates, and items that you Pin. Of course, you will create the majority of this content within your content management team and using external service providers but there are other ways to create high quality content too. Crowdsourcing information and web content is a highly effective and efficient way of increasing the amount of content you have while also getting your readers and website visitors more involved. You can use your content strategy to attract reader involvement and you can use this reader involvement to help develop your long term content strategy. You need to measure results and, with any luck, this will mean measuring how successful your content marketing strategy has proven to be. Ensure that you have analytics installed on your website but also consider customer questionnaires and other forms of data capture to help you identify techniques that worked and those that were less than successful. Primarily, you will need to determine what you consider success so that you can effectively measure it. For example, if you were aiming to increase sales then sales figures are your primary metric. With that said, you should measure a variety of statistics and figures to help you determine exactly how successful your campaign has proven. Your content marketing strategy can be all encompassing so that it incorporates on-site content like your webpage text. It can also include your off-page content like Tweets, social media updates, and even your guest blogs. Involve members of your team, call in outside help where necessary, and even leverage the power of your readers and customers to help further improve results. Measure these results to get a clearer picture of your success and to find areas that you can improve.